Elementary Music - EVERYONE BELONGS. EVERYONE ACHIEVES. 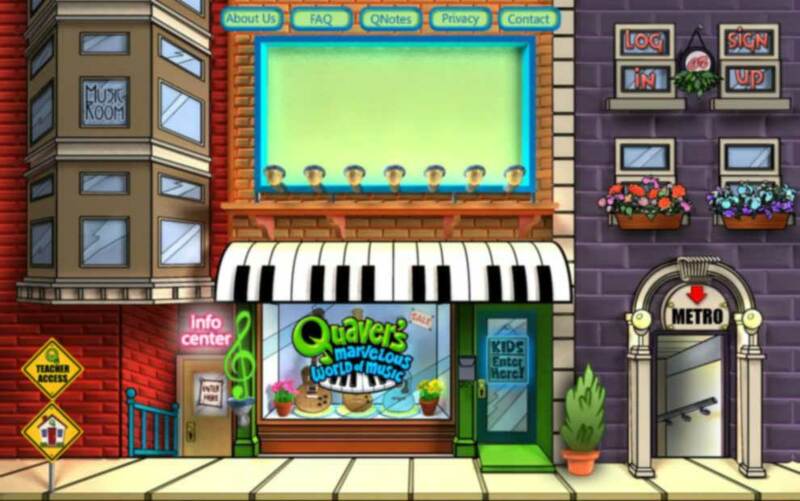 Quaver takes kids on an exciting journey through his imaginative music shop, inspiring them to discover and love music! With the help of a music laboratory, live recording studio, time-traveling phone box, and cast of hilarious characters, Quaver is an energetic teaching-assistant, helping teachers engage young people in the marvelous world of music like never before. We are one of the first elementary/K-8 schools to incorporate this program. All students have individual accounts.